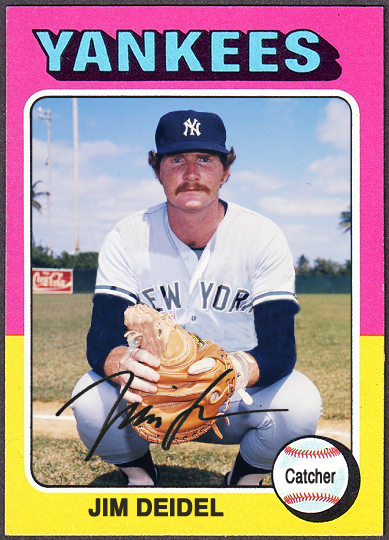 Deidel made his MLB debut on May 31st of 1974, followed up by what would be his last game on June 5th, going 0-for-2 at the plate. 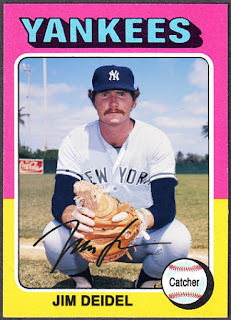 It was back to the Minors for him where he’d play through the 1975 season before retiring, having played out his entire nine-year professional career with the Yankees organization between 1967 and 1975. I’d say about five followers of this blog have contacted me about creating a card for Deidel over the past few years, hope this fills that need! Absolutely beautiful card, Gio. One of your best yet, IMO. Once again you’ ve topped Topps.